Fun Downton Abbey Cast <333. . Wallpaper and background images in the Downton Abbey club tagged: downton abbey. This Downton Abbey photo might contain suti biashara and biashara suti. O.K. 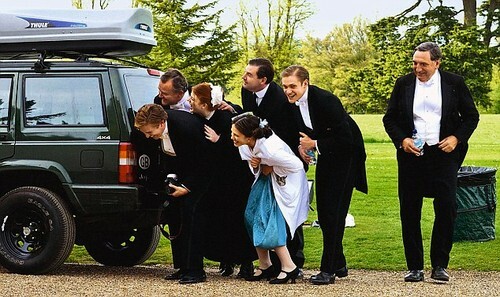 the two people in front, is that Matthew and Sybil?